The Kitchens of India initiative of the ITC group has given Hyderabad many memorable food promotions. 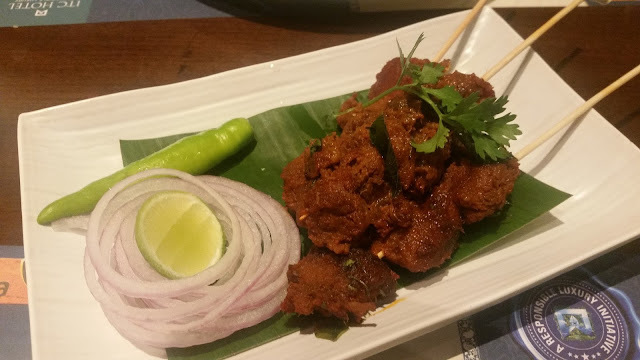 Few recent ones which come to mind are the Nawab of Arcot and the Sri Lankan food festivals which brought out well-researched and authentic recipes from Tamil Nadu and Sri Lanka. Now, under the Royal Repasts umbrella comes a festival celebrating a cuisine very close to our hearts – the Nizami food from Hyderabad. Aptly named “Dastarkhwan Nizam-ul-Mulq”, the promotion brings to us recipes from the kitchens of Nizams of Hyderabad. The Nizams were great connoisseurs of food and frequently hosted lavish feasts for their esteemed guests. The team at ITC Kakatiya did a thorough research and culled out recipes from the royal courts, residences as well from the delicacies earmarked only for the festivals. The promotion is part of the buffet at Deccan Pavilion, the all-day dining restaurant at ITC Kakatiya. 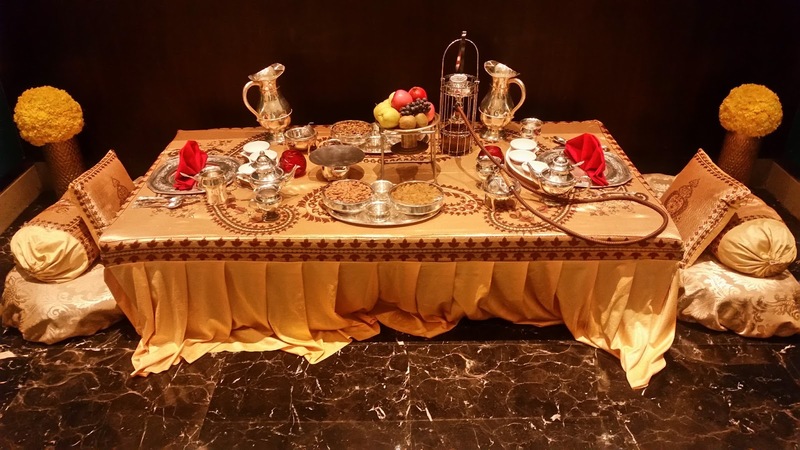 Invited for a review dinner, we loved the traditional dastarkhwan or dining table replete traditional silver cutlery which has been set up as a display just next to the entrance. The buffet had been laid out next to it, with the festival items showcased with special tags. We started with Haleem, the traditional Ramzan delicacy. 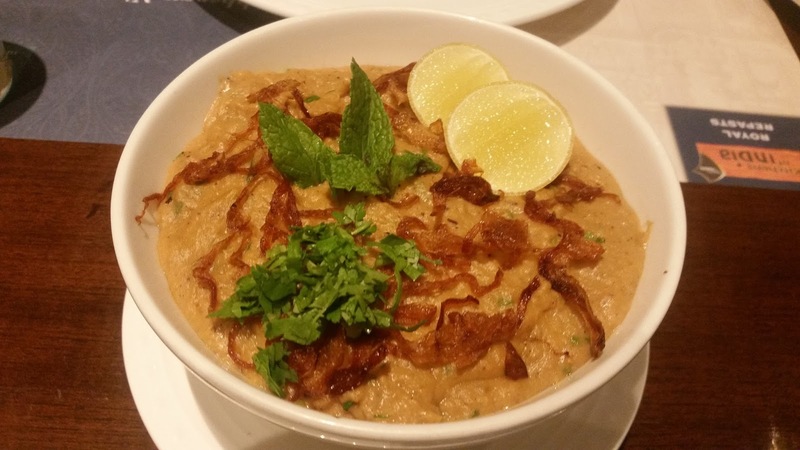 Executive Chef Paul Noronha told us that Haleem will be served on all days of the festival. 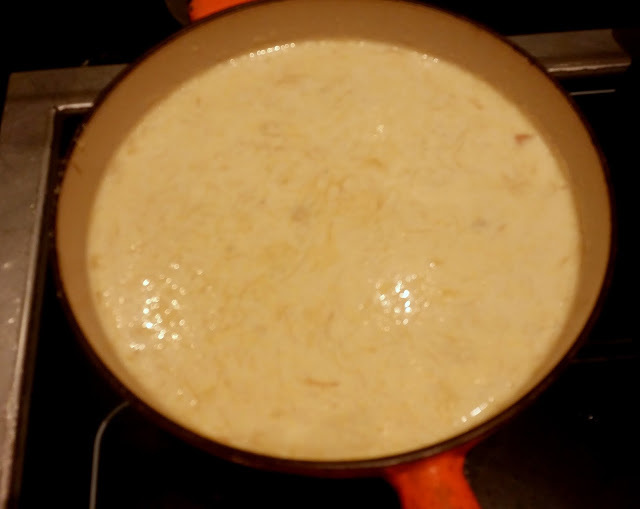 The boneless haleem had a very subtle taste, unlike the spicy fare we are accustomed to and we were told that the preparation has been adapted from the home recipes. The ghee, wheat, mutton and the spices had all blended together to give it a uniform and delicious taste. 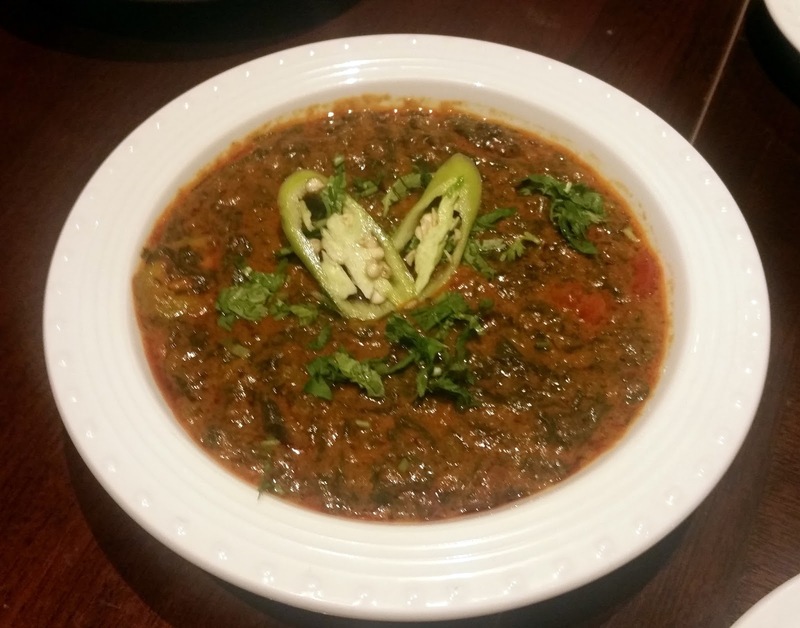 Paya Nihari, a slow cooked broth of lamb trotters garnished with fried onions and mint leaves was tried out next. Soft and fluffy Hyderabadi naan served with it tasted fabulous when we dunked it into the soup. A traditional item often served in breakfast, the nihari was no less enjoyable as part of the dinner. Tala Gosht is another delicacy which is available all over the city in different avatars, including a Chinese fusion available in some Irani restaurants. Here, the perfectly cooked boneless lamb cubes had the traditional masalas in the right amount. 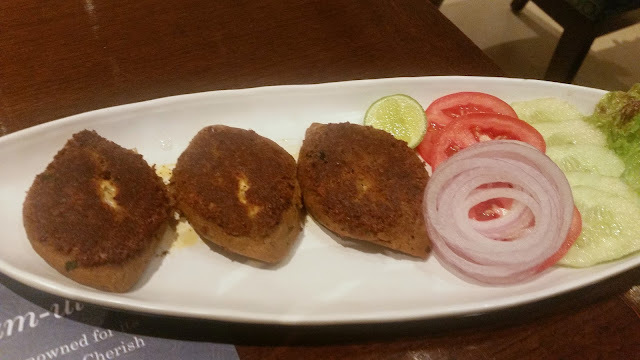 Along with this, there were Talli Jhinga (prawns fried in masala) and Shammi Kabab (boneless meat and lentil patty). The latter was absolute melt-in-the-mouth. As is common with the promotions at Deccan Pavilion, the buffet had items from other cuisines too, keeping in mind the requirements of the regular guests. We chose to ignore these and concentrate only on the Nizami dishes. The pick of the main courses was the Macchi Qaliya. 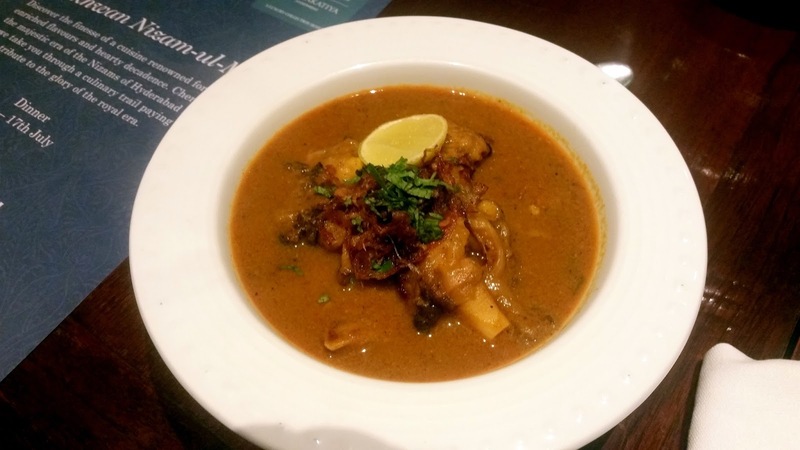 The rich fish gravy was delicious with the fresh naans served with it. The other Hyderabadi item was Kheema Methi, which was a tad salty for me. 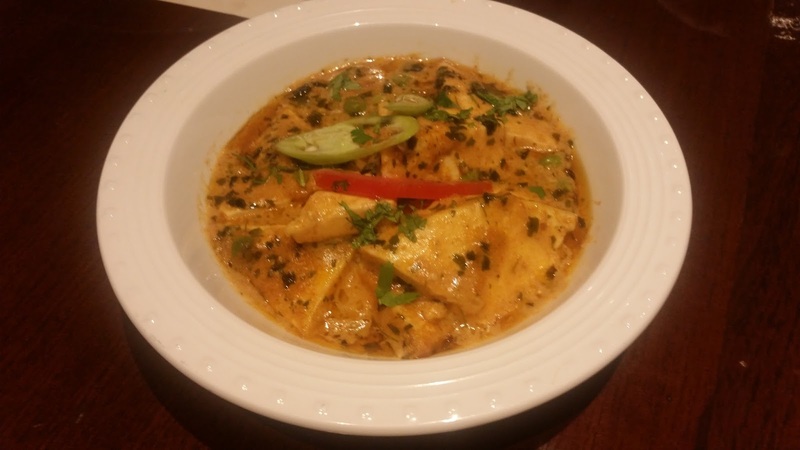 For vegetarians, Paneer Masala with its thick curd based gravy was the go-to dish. 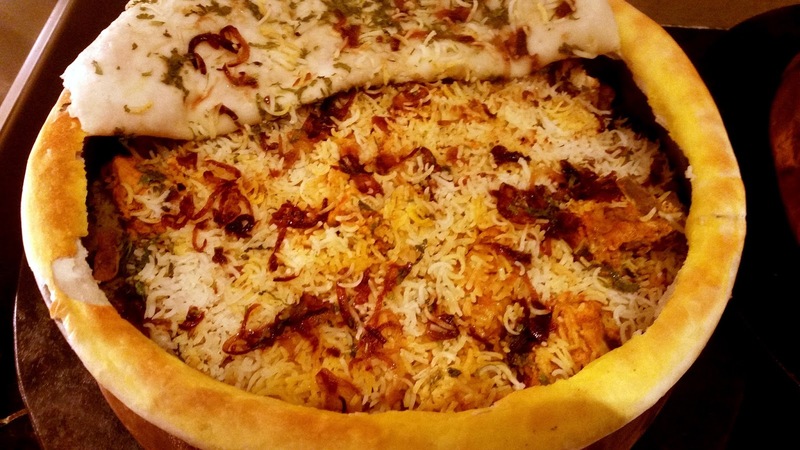 The biryani at ITC Kakatiya is one of the best in the city, and the Hyderabadi Chicken Biryani did not disappoint at all. The spice-laden chicken pieces covered with a little bit of rice, and the aroma of rich masala make a heavenly combination. Also, the Mirchi ka Salan with the biryani is a must have here, even without the biryani. The dessert section had Semiya Muzafar, a vermicelli dish with ghee, khoya and nuts and the popular Khubani ka Meetha, the apricot based delicacy. The festival will have different items from the Nizami cuisine on different days. A few interesting items which would also be featured include Kairi ki Dal (yellow dal cooked with raw mangoes), Marag, Dum Ka Murgh, Lagan ki Boti and Murgh ki Tehri. The festival is on until 17th July only for dinner at Deccan Pavilion, and may be interesting for genuine lovers of Hyderabadi cuisine. It is priced at Rs 1499 plus taxes. As is customary, the promotion items replace a section of the buffet menu.